Sunflower leaf veins are intricate and detailed. Once rolled into clay, the leaf leaves a fine design. Once bisqued, a wash or stain is applied rubbed off, and the fine, intricate veins are highlighted and become a base for a heavier glaze. 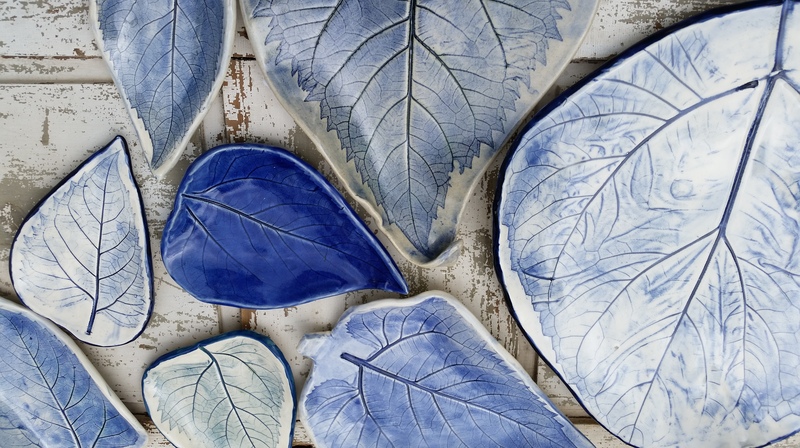 Glazed leaves are great as spoon rests, dinner plates, dessert plates, serving pieces, or any place a year round leaf can be used.